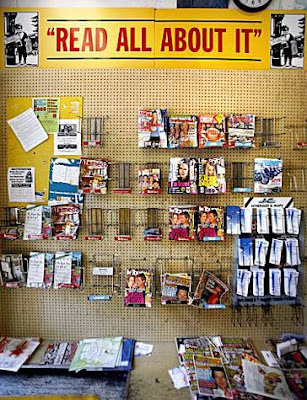 In another sign that the printed word may be going the way of polar ice caps, the renowned 101-year-old De Lauer's newsstand on Broadway in Oakland is going out of business. "We have to close," said Charles De Lauer, the 91-year-old proprietor whose father started the enterprise selling papers from small wagons in 1907. "Things just got too hard."